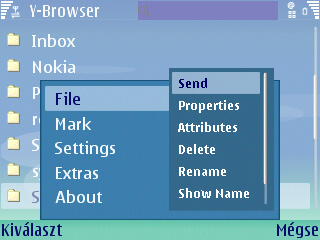 Screenshot for Symbian OS is a free program to take screenshots on your s60 smartphones. You can capture screenshots and save it to a file in several formats. You can customize the shortcut key, file name and delay of capturing. It supports continuous mode that allows you to capture screenshots in every few seconds. 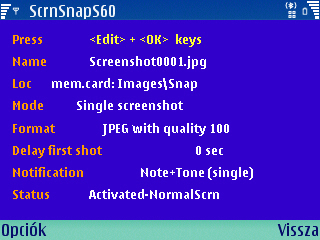 ScreenSnapS60 allows you to take screenshots in different capture modes and save them in a variety of file formats and qualities. It is possible to set delay and interval times, customize the notification message, define the number of shots, configure the shortcut keys and specify memory location, directory name and file name of the saved shot. With the Contacts Transfer application you can copy the entire contents of the contacts database including thumbnail images and caller groups from one phone to another via Bluetooth, infra-red or a memory card. 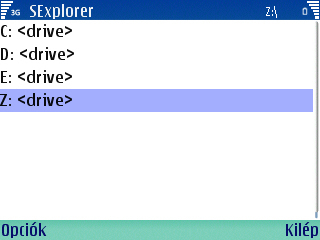 SExplorer is a simple file explorer. 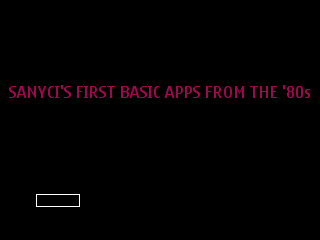 It was the very first freeware for the s60 3rd edition. 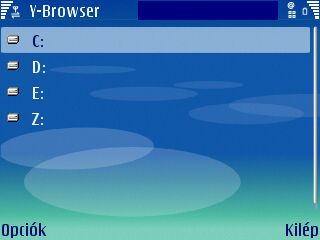 Y-Browser is a file manager for s60 devices. It implements most standard features on files (such as copy, cut, paste, etc) & folders (create, remove, etc). 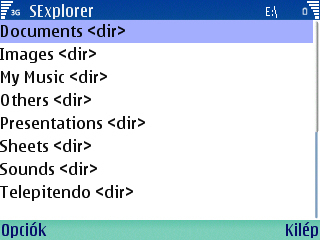 SysExplorer is yet another file and system explorer for the s60 platform. 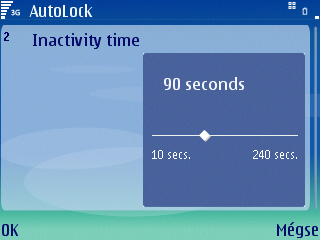 AutoLock is an automatic key lock application for s60 Smartphones, with autostart function. Nem is értem, hogy a Nokia mérnökei hogyan is felejthették ki ezt a funkciót a platformból!!! The software disables the time out for the device's screen backlight. This means you can use the device as a torch or for illumination without having to continually press a key. 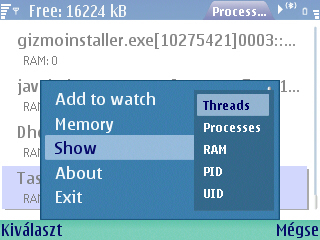 This is also useful for applications where you need to see the screen, but without not using the keys (e.g. a Desk Clock). 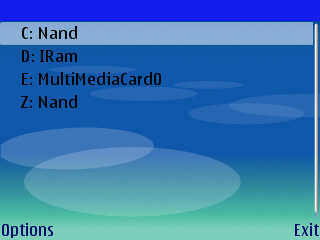 The software also enables you to control the Flash LED on phones that has this feature. mLock just sets the keylock. 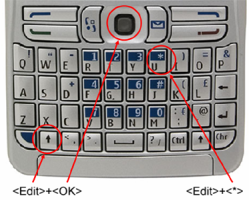 The idea is an easier use of the keylock (especially with Nokia N80). The most practical in this tool is, when it’s used as the first application by the Active Desk or set it to one of the SoftKeys. 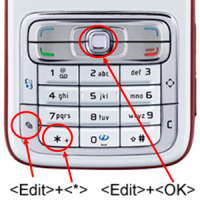 Instead of opening and closing the slider-phone or pressing the 'Profile Key' you just need to click the mLock icon (or push the SoftKey) and the keylock is set. There are no settings necessary and also no 'application-screenshots' available. 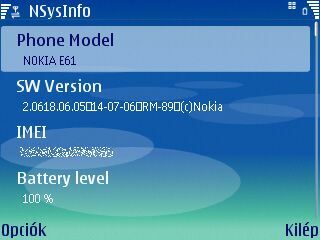 This software shows full information about your phone, such as firmware version, IMEI, signal strength, battery level, available memory, processor and screen types. 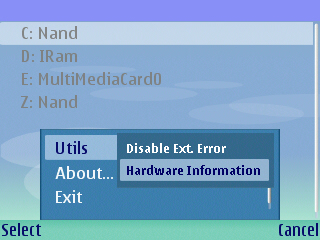 Also it lists all supported features. You can save all info in a file. 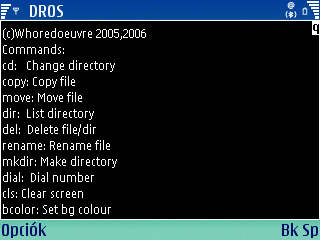 Whoredoeuvre presents DROS for your Java MID2P compatible phone. 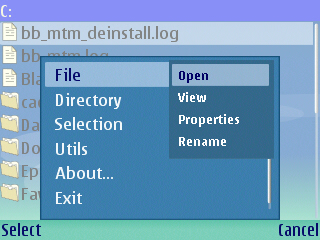 Relive the glory days of 80s computing on your phone with this DOS like shell and BASIC interpreter. This little application deletes your Smartphone's calendar data file. A program semmi mást nem csinál, minthogy törli a telefonod naptárának adatfájlját. A Tasky megmutatja a telefonunkon éppen futó programok és alkalmazás-szálak listáját.